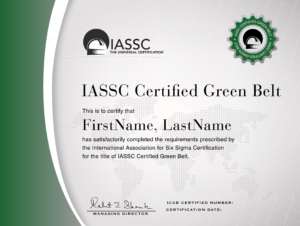 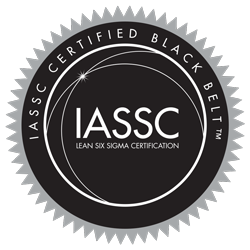 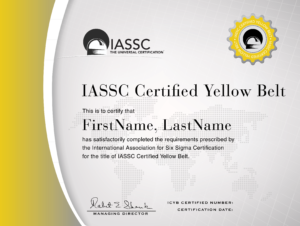 σε σχέση με το IASSC’s Universally Accepted Lean Six Sigma Body of Knowledge. 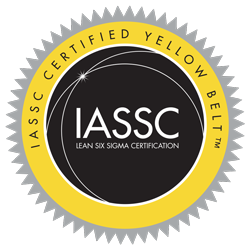 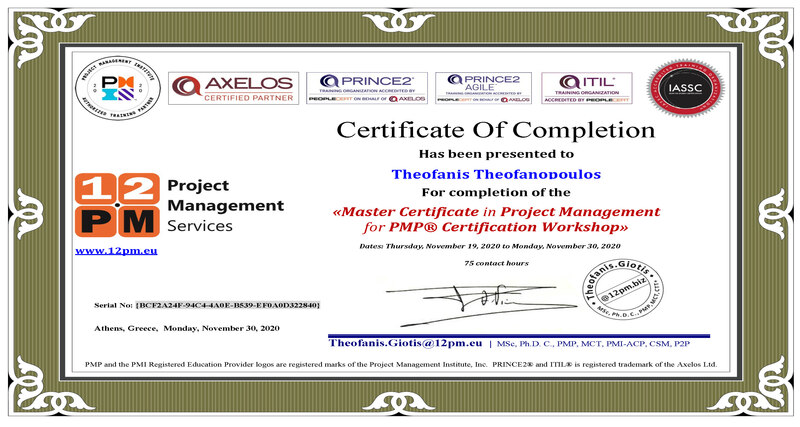 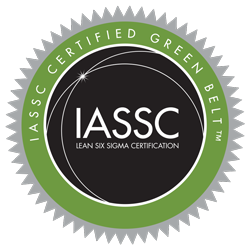 τρία Lean Six Sigma workshops που καταλήγουν σε Lean Six Sigma IASSC Certifications! 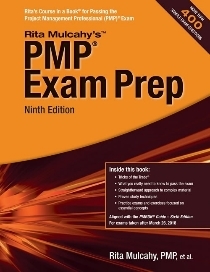 Questions type: Multiple-choice questions from each major section of the IBoK for Yellow Belts. 20 multiple-choice questions from each major section of the IBoK for Green Belts. Approximately 30 multiple-choice and true/false questions from each major section of the IBoK for Black Belts.